On the same day that presidential candidate Donald Trump called for barring Muslims from entering the United States, Burlington Mayor Miro Weinberger briefed the city council on his progress addressing more subtle forms of bias. After the city adopted a “diversity and equity strategic plan” more than a year ago, the mayor on Monday gave his first annual update on what his administration has done to diversify its ranks, root out bias and reach constituents who aren't engaging in city affairs because of language or other barriers. The 82-page plan, which contains 49 “action steps,” is far from being fully implemented. Its author, Curtiss Reed of the Vermont Partnership, who continues to advise the administration, urged councilors not to expect “instant gratification.” Reed, several senior city officials and three people of color who aren’t city employees meet monthly to advise the mayor on implementing the plan's recommendations. Among the changes they've overseen: More than 400 city employees have received civil rights training, including the mayor and his department heads. The city is making more of an effort to advertise job openings in places likely to attract minority candidates. And candidates for managerial positions will be asked a uniform set of questions to avoid "implicit bias" during the interview process. As evidence of progress, Reed pointed to the recently hired police chief, Brandon del Pozo, whose father emigrated from Cuba, and the Parks, Recreation & Waterfront Department, which this year hired twice as many multilingual seasonal employees as the year before. The mayor's memo to the council also notes that the fire department "has recently hired its only firefighter of color." 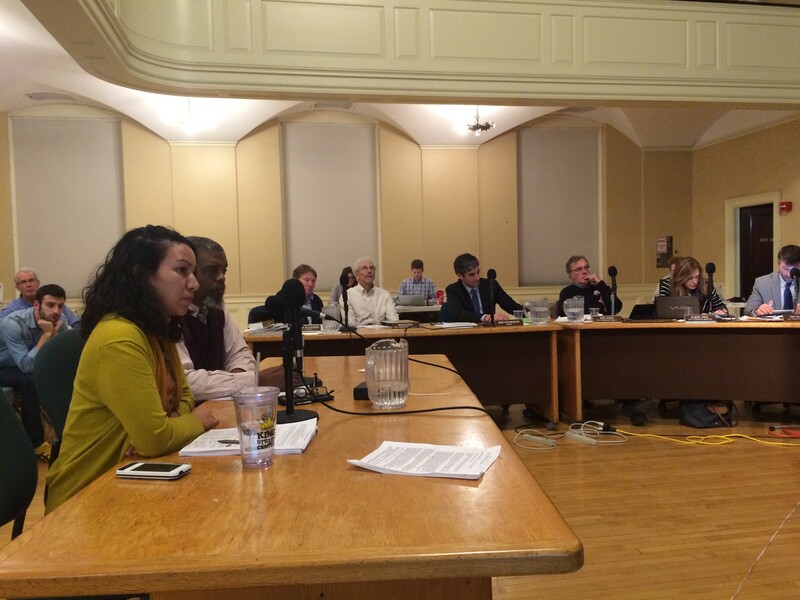 Noting that 5 percent of Burlington's population speaks limited English, Kesha Ram, public engagement specialist for the Community Economic Development Office, briefed councilors on a new "language access plan" to make sure resources such as interpreters are made available. As an example of work still to be done, Weinberger said that "one of the recurring and most strongly felt" concerns he hears from firefighters is that they have trouble communicating with people who speak limited or no English.